The Salamander CT85+ Xtra is a single pump designed to pump hot, cold or premixed water tank fed supplies to a variety of outlets. The Salamander CT85+ Xtra shower pump is from a range of positive head shower pumps are robust and plumber friendly.These pumps are quick and simple easy to fit with push fit AV couplers. This single pump is designed to pump hot, cold or premixed water from tank fed supplies to your shower (or any other tank fed appliances) to create an invigorating bubbly showering experience to wake you up in the morning. 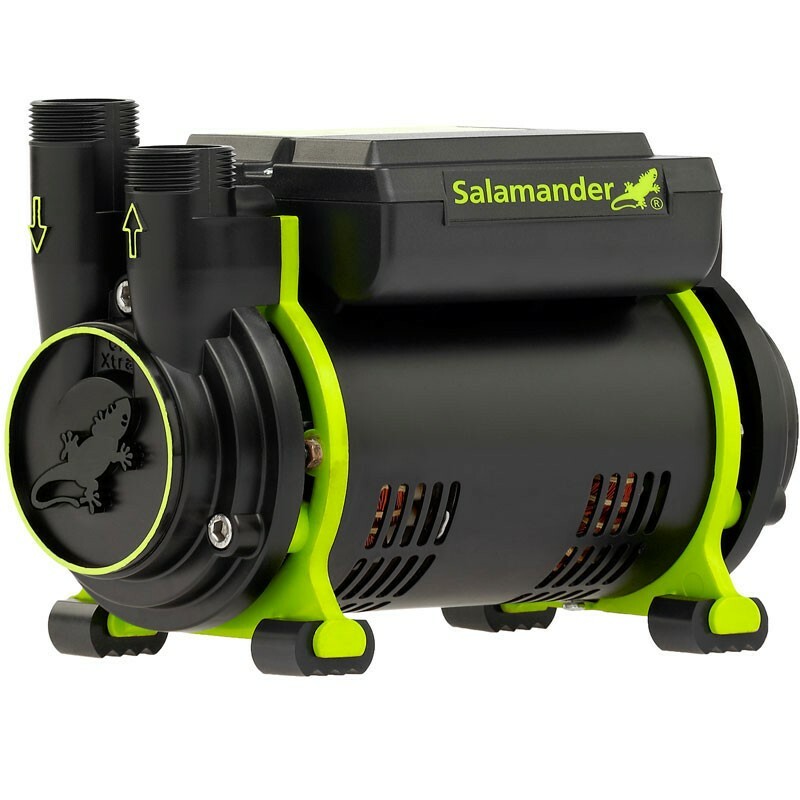 The salamander CT85+ Xtra regenerative pump is continuously rated and is supplied complete with integral isolating valves (on inlet hoses only). The natural flow of water from the outlet of the appliance to be pump must be at least 1 litre per minute.